I loved the office atmomsphere, professionalism and cleanilness. I also appreciated the thorough explanations duringmy visit, , samples to start me off and clear instructions on my next steps. I loved the office atmomsphere, professionalism and cleanilness. I also appreciated the thorough explanations during my visit, , samples to start me off and clear instructions onmy next steps. The staff here was courteous and efficient, and the facilities were well maintained. This was my first meeting with Dr. Harris,and I am very pleased so far. The staff here was courteous and efficient, and the facilities were well maintained. This was my first meeting with Dr. Harris, and I am very pleased so far. 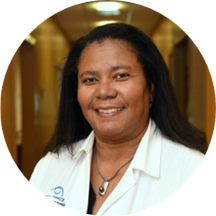 Dr. Shirley A. Harris graduated from Case Western University in 1987 with an M.D. degree. In 1994 she earned her Fellowship in Gastroenterology from MetroHealth Medical Center in Cleveland Ohio. She has practiced in the Atlanta area since 1996 and is affiliated with the Dekalb Medical hospital system. Dr. Harris is board certified in Gastroenterology and is a highly skilled endoscopist proficient in all endoscopic procedure including ERCP (Endoscopic Retrograde Cholangiopancreatography). In 2005 she founded Gastroenterology Specialists of Dekalb. Dr. Harris lives in nearby Avondale Estates with her family. She loves to travel, enjoys cooking and gardening and is also an avid sports fan.